Dance the night away! 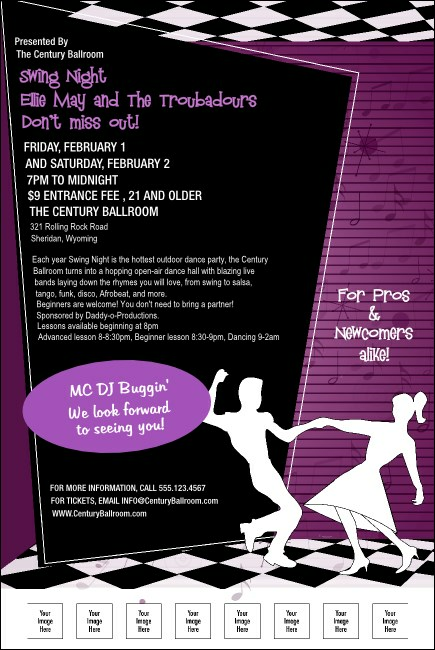 Let the hep cats know where it's at with the 50s Swing Dance Poster. Bold, beautiful design features the silhouettes of a couple without a care setting the joint on fire. Purple background with striking checkered foreground and lots of space on the template for all your event details. Put a spring in your step with the right design from TicketPrinting.com.